Wine four in our ‘Celebrity Vintners’ theme this month is from Italian Formula One driver, Jarno Trulli. 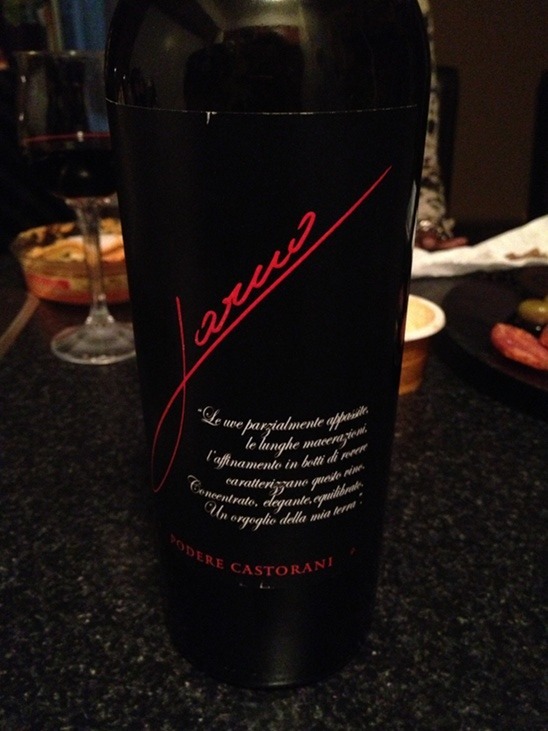 Jarno went with the formidable Montepulciano varietal in his Rosso Colline Pescaresi, 2004. Named ‘Jarno’ after a Finnish race care driver, speed, I guess you could say, was slated to be a part of Trulli’s future, before he even knew it. He’s been driving Formula One since 1997, and before that, made a name for himself in Karting, with multiple consecutive wins, during his active time. Jarno, unlike some of ‘famed now turned vintner’ group, truly sees wine as a passion and an extension of the land and himself; “I became interested in wine because traveling the world for Karting, F3 and F1, I realised that wine is a noble sign of every terroir. I [wanted] a project linked to my roots and origin”, Jarno explained to Collinson of ItalyMag. On colour, this Montepulciano wine is a deep and dark ruby red that resembles the darkness of eggplant, and it’s indication one to the full bodiedness of this wine. On the nose, it is highly aromatic and holds scents of blackberry, plum, and oakiness. On the palate, its high tannic level is met with a big mouth feel that consists of spice, some anise, ripened plum and tobacco. It’s long finish provides a lingering anise and fruit preserve taste. We’ll often share thoughts on how we drank a particular wine and with Jarno’s, Rosso Colline Pescaresi, it is highly suggested that you pair it with red meat. Montepulciano, of this style, goes amazingly well with strong meats and the combination of the two, during meal time, produces a smoothness in both the drink and food that singularly, could never be replicated. Trying Truilli’s wine on its own and then paired with red meat, showed the wines heightened and superb, elegant complexity. Jarno Trulli’s, Rosso Colline Pescaresi 2004, is perfect for that special occasion or as a gift for anyone possessing great wine appreciation.